SPA 2010 will take place once again in Covent Garden, London. It’s a 4-day conference running from Sunday to Wednesday jam-packed with sessions from London agilists and those from Europe and beyond! What better way to enjoy London than to combine the visit with an Agile conference? 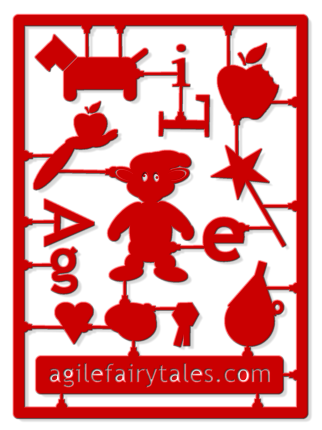 Pascal and I will be co-presenting 2 sessions this year: “Solve Conflicts Without Compromise with the Conflict Resolution Diagram”, and “Pinocchio – On Becoming a Lean Leader”. We hope to see you there! Tickets are still available for 1-day, 2-day and the full 4-day conference. Buy them here! The entry 'SPA 2010: 16 -19 May 2010' was posted on April 13th, 2010 at 9:13 am	and last modified on April 13th, 2010 at 8:35 pm, and is filed under Agile Fairytales, Conferences. You can follow any responses to this entry through the RSS 2.0 feed. You can leave a response, or trackback from your own site.